If you have time to visit Kashmir, the must see place is Mughal Gardens. The Mughal Emperor built the Gardents with terraced lawns, fountains, floral beds – it is considered to be the Paradise on Earth. So it is very popular. Shalimar Bagh is built by Mughal Emperor Jehangir for his wife Nur Jehan in 1616. Four terraces were in the garden with traditional water channel running down in the middle. Top terraces were used by the emperor and the ladies during the Mughal period. Best period to visit here is between May to October. During this period Sound and Light show is conducted here. 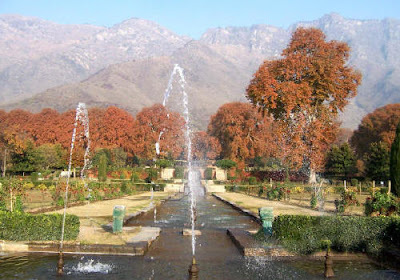 Nishat Garden is one of the largest Mughar Garden. It is located on the shores of Dal Lake. This beautiful terraced garden is intersected by fountain through the middle of Garden is a very beautiful sight to see. This is built by Asif Khan, brother of Norr Jehan in the year 1633. So don’t forget to visit these Gardens. 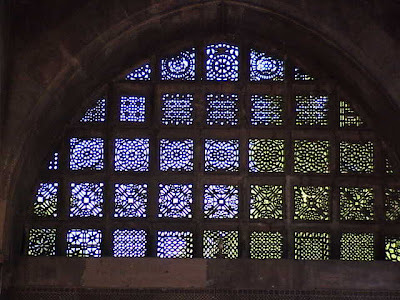 There are many places in Ahmedabad to visit. It is the best place for Tourists to visit throughout the year. Sabarmati Ashram, Sidi Saiyadi Mosque, Ahmed Shah’s Mosque, Balvatika, Daria Khan’s Ghummat Rani Sipri’s Mosque and Tomb are some of the interesting places. 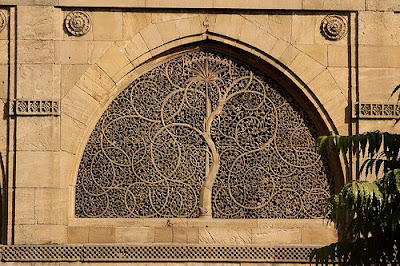 Sidi Saiyadi Mosque is known to every one for its twin windows of pierced stone, looking like of a tree with palm leaves and curving tendrils. This is a superb example of carving change the stone into filigree. A slave of Ahmed Shah, Sidi Saiyad constructed this mosque. This is a fine example of Indo-Sarcenic architecture and this windows wooden models are kept in New York and Kensington Museums. Father of the Nation “Mahatma Gandhi” lived in the Sabarmathi Ashram from 1917 to 1930. 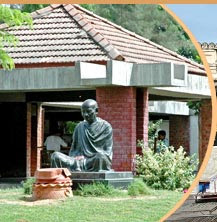 This Gandhi Ashram is situated in the alongside of River Sabarmati. In this Ashram you can see Mahatma’s letter and a set of collection of photos of India’ freedom struggle movement. You can find peace in the shady trees in this Ashram. In the evening, light and sound show is an added attraction to this place. 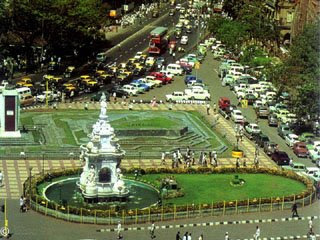 Mumbai’s one of the oldest monuments is Flora Fountain. Flora is the name of Roman Goddess of Flowers. Now the Flora Fountain is called Hutatma Chowk or Martyr’s Square. It was constructed in 1864 by the Agri-Horticultural Society of Western India. In this Fountain Roman Goddess Statue is surrounded by Artificial Water Flowing Pool. At night the statue is decorated with beautiful lights. It is a beautiful sight. The statue is crafted in a imported Portland stone. Near the Flora Fountain- square vendors are selling thinks like Gadgets, nylon saris, ballpens, watches, Binoculars, etc. at cheap rates. Flora Fountain is Mumbai’s landmarks and definitely deserves a visit. You can easily reach there by buses or trains or by autos. From Churchgate Railway Station it is just 3 minutes walkable distance only. 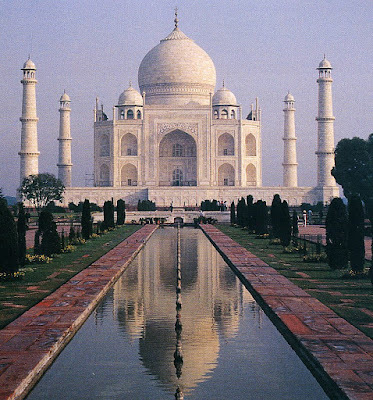 India’s main Tourist attraction place is Taj Mahal. Being one of the eight wonders of the World, every year around 2 to 4 million people visits here. During the months October to February more tourists visit Taj Mahal. Emperor Shajahan built Taj Mahal in the memory of his wife Mumtaz at Agra. It takes 22 years to built Taj Mahal. At a cost of 32 Million Rupees, Taj Mahal was constructed in 1648 C.E. Taj Mahal complex with three sides red stone walls and the river facing side is open. Mughals built the beautiful monument entirely with white marble. We cannot express in words the beauty of Taj Mahal, particularly sunset, dawn and in the moon light. You have to experience it. Except on Fridays- it is open from 6 am to 7 pm on weekdays. The Taj Mahal complex is open 2 days before and after of the full moon day for night watching. If you are planning for tour during the months of October to March, the ideal place is Trichy or Tiruchirappalli which is in the banks of Cauvery River. 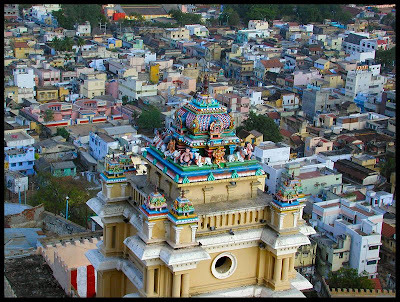 Being the fourth largest city of Tamil Nadu, it is one of the beautiful cities of South India. Artificial diamonds, handloom cloth, clay and wooden toys, glass bangles are famous here. Tourist attraction places are Viralimalai Sanctuary, Rock Fort Temple, Government Museum. A small town 30 km. 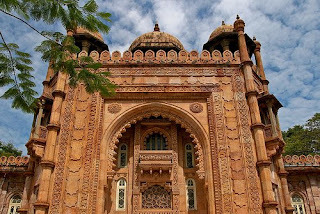 away from Trichy is Viralimalai is famous for Murugan Temple and the beautiful Peacock sanctuary. If you want to see the Fresco Paintings in rocks, you can go to Sittanavasal. 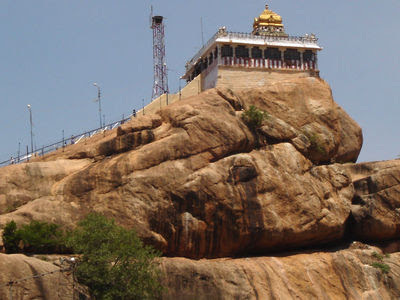 In the Rock Fort Temple – three temples 1)Manikka Vinayakar Temple 2) Uchhi Pillayar Koil, 3) Thayumanavar Koil are famous here. Diromg the secpmd century A.D., Karikal Cholan built a dam across the river Cauvery for irrigation i.e. Kallani is 24 kms away from Trichy is a wonderful place for excusions. Trichy is well connected by air, rail and road. You can find hotels to suit your needs here. Visit Trichy and enjoy the trip. If you have time to visit Bangalore, there are many places here for the Tourists. They are Vidhan Saudha Ulsoor Lake, Lal Bagh Gardens, Cubbon Park, Nehru Planetarium, Tipu’s Summer Palace. Vidhan Saudha is the Secretariat building of Karnataka Government is the one of the best known landmarks of Bangalore. It was built in 1954 and 1958. Ulsoor Lake is famous for picnic spot. Here you can enjoy boat riding. In 1760 Hyder Ali designed the Lalbagh Garden which is a 240 acre Park. Here you can see the largest collection of plants and old trees. The rose Garden here attracts many visitors because of the 150 varieties of roses. Like London’s Crystal Palace, here the Glass House is the highlight of the park. 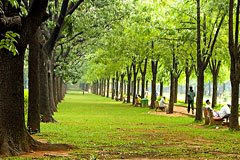 Cubbon Park is a 300 acre park, which is named after Sir Mark Cubbon. In this park flowering trees, central library, aquarium, shady groves and fountains are main attraction for the tourists. If you want to escape from summer, you can go to Kodaikanal. This is a amazing tourist place to spend your holidays. The best season is April to June. You can reach Kodaikanal by bus. Nearest Airport is Madurai. Here many hotels offers good accommodation. The Hotel run by Tamil Nadu – TTDC is my best choice. 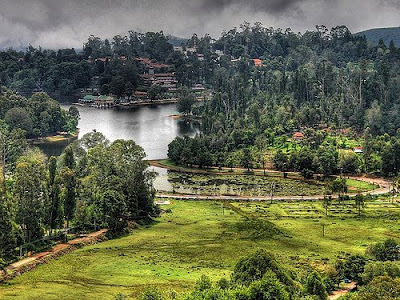 Kodaikanal – means “the gift of the forest” - was established in 1845 by American Missionaries. The nick name for Kodaikanal is Princess of Hill Stations. Built in 1863, the star shaped spread over an area of 24 hectares - Kodai Lake is major attraction of Tourists. Here boating facilities are available for Tourists. Bryant Park is another centre of attraction for Tourists. Bryant, the name of the British Officer who landscaped the Park. During the month of May, annual horticulture show is held here. The Park has many varieties of flowers and cut flowers are exported. The trees i.e. Eucalyptus and Pine are worth to see. 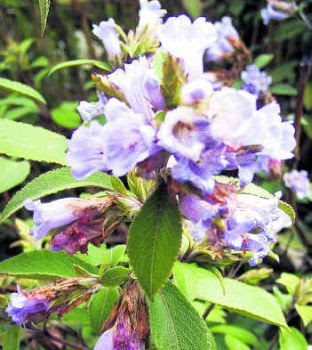 You can see the KURINJI FLOWER (Bloom once in 12 years) here. In the Vembanad Lake, a cluster of little islands is the village of Kumarakom. It is the best place for the honeymooners. The small water world is the part of Kuttanad region. The climate and the lush green vegetation attract many tourists. The 14 acre vide bird sanctuary here is favourite haunt of migratory birds. To watch the bird sanctuary you have to go to boat trip round the islands. After the visit from sanctuary, you can rest in resort. 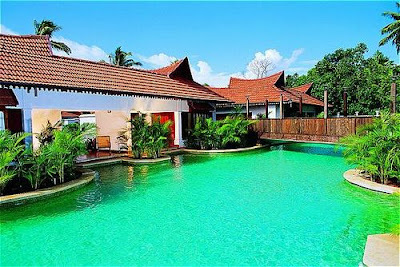 At Kumarakom resorts you can go for a swim, and take a Ayurveda Massage, play indoor and out door games. Kumarakoam is a beautiful paradise of mangrove forests ,coconut trees and blooming of flowers – you cannot forget the visit. 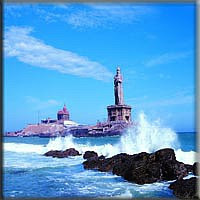 Southernmost of Tamil Nadu, Kanniyakumari is one of the important Tourist place. Vivekananda Memorial, Gandhi Memorial, Kanniyakumari Temple, Guganathasamy Temple and Kanniyakumari beach are some important places. Vivekananda Memorial was built in 1970 with all the architectural styles of India. Swami Vivekananda when he visited Kanniyakumari before his departure for Chicago to participate in the World Religious Conference in 1893, he had sat and meditated on the rock in 1892. In the Memorial building Swami Vivekananda’s statue has been installed. The meditation Hall is opened between 8 A.M to 4 P.M.
Coloured sea sand, articles made from palm leave, sea shells and handicrafts are sold here. But you have to bargain for purchases. In Gandhi Memorial, On October 2nd (Mahatma Gandhiji’s birthday), the Sun rays fall on the particular place where his ashes were placed. 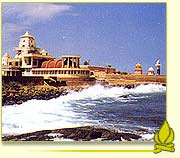 The ancient temple here is Kanniyakumari temple. During May there is a huge crowd for the temple festival. The beautiful beach here attracts may tourists. On full-moon day, the Sun setting on the West and the Moon rising up on the East simultaneously is a glorious sight. Kanniyakumari is well connected by rail and road. Thiruvananthapuram is the nearest Airport. 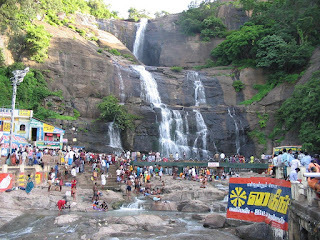 During the season July to August there is heavy crowd in Courtallam, Tirunelveli Distict. It is located at a height of 167 m. In South India, Courtallam is famous for its Falls. In the season the water flow is heavy in all the places. There are nine falls here. Peraruvi or the Main Falls is the popular one. The other falls are Small Falls, Chembagadevi Falls, Orchard Falls, Honey Falls, Five Falls, Tiger Falls, Old Courtallam Falls, New Falls. Taking a bath in these falls cure many skin problem and nerve disorders because the water is coming through forest herbs. Here you can take oil massages near the falls. There are some temples in the City. The first one Thirukuttralanathar (Lord Shiva) Temple, Lord Murugan Temple, Koothar temple, Courtalla Nangai Koil and Thirugnana Sambandar Koil. If you want to rejuvenate your body and mind take a bath in these waterfalls. When you heard the Mysore – you can think of magnificent Palaces, sandalwood and rich Mysore silks. Karnataka’s second largest city is Mysore. Dasara festival is celebrated for victory of good over evil. The must see place in Mysore is Mysore Palace. It is wonderful to see the majestic Durbar Hall has an ornate ceiling and sculpted pillars. 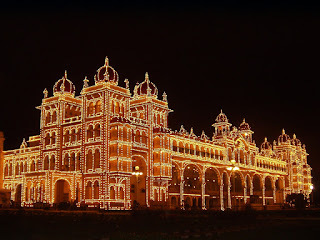 Mysore Palace is illuminated on Sundays and Public Holidays gives you a spectacle of breathtaking beauty. In Mysore the famous Chamundi Hill which is 335 meters high can be reached by a travel of 13 km. in road. Half the way to the Hill you can see the Nandi. Chamundeswari temple is at the top of the Hill. Mysore has a warm and cool climate throughout the year. If you visit Mysore, it will creat an ever-lasting impression on the visitor about the palaces, majestic temples and gardens. During the hot summer, everybody would like to go to Ooty. In Ooty you have lot of sight seeing places such as Botanical Garden, Ooty Lake, Dodabetta Peak, Kelti valley view etc. The Government Botanical gardens, laid out in 1847 is a superb place to see. 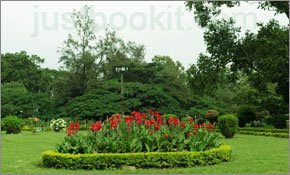 The gardens cover an area of about 22 hectares are maintained by the State Government Horticulture Department. The roses in the garden are loved by all who visits here. 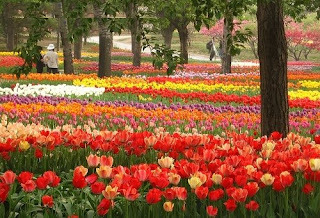 During May every year flower show conducted here. The Ooty lake was built in 1825. Visitors can go for boating and enjoy here. 10 kms. 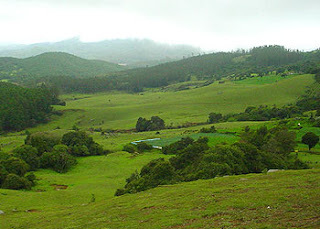 from Ooty the Dodabetta Peak stands at an altitude of 2,263 meters. From here you can grab your camera and click superb pictures of the valley. But you have reserve rooms in advance. Many hotels are available. It is worth to spend holidays in Ooty during summer. If you are interested in paintings, National Art Gallery is an important Tourist attraction in Chennai. It is located in Panthian Road, Egmore, Chennai, Tamil Nadu. It is an integral part of Government Museum. The National Art Gallery building was built in 1906 A.D, the building has Indo-Saracenic architectural features and built with sandstone and adorned with motifs. The building was designed by Henry Irwin and initially known as Victoria Memorial Hall. 2) Decorative Art Gallery 3) Indian Traditional Art Gallery and 4) Ravi Varma Painting Gallery. The Thanjavur paintings on glass is superb. Rajput and Mughal eras’ miniature paintings are wonderful. 11th and 12th Century, Indian handicrafts are displayed in the National Art Gallery. Deccan Paintings of the 17th Century AD and handcrafts, metal ware and ivory carvings from 11th and 12th Century are worth to see. The rich collection of paintings and sculptures are the key factors for the much credited tourist place. The museum is open on all days except Fridays and National holidays. 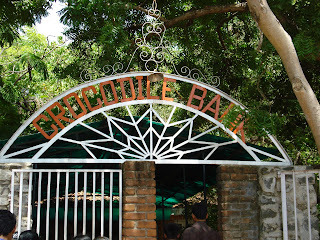 If you want to watch many species of African and Indian crocodiles, you can go to the Crocodile Bank, which is easily accessible from Chennai. From Chengalpattu railway station is approximately 29 kms. and from Chennai it is 42 kms. Romulus Whitaker inaugurated the Crocodile Bank in 1976. Crocodile Bank is spread over an area of 3.2 hectares. There more than 5000 crocodile species are kept in natural surroundings in pools. It creates an awareness among people that crocodiles play an ecological role in feeding on the weak and sick fishers. They are considered one of the most horrifying creatures and this Bank is an endeavour in spreading love for these creatures. This Bank is famous for conducting researches. The snake farm here is another attraction. Here the visitors can see the demonstration of venom extraction from the snakes. If you have interest to know all these have a visit to Crocodile Bank.